I left for Europe in the middle of June as "Japan Cultural Envoy"!!! The first destination is Ireland! I had lecture and concerts in Dublin, Sligo and Waterford, organized by Embassy of Japan in Ireland. On 23 June, I gave a lecture at Trinity College Dublin. 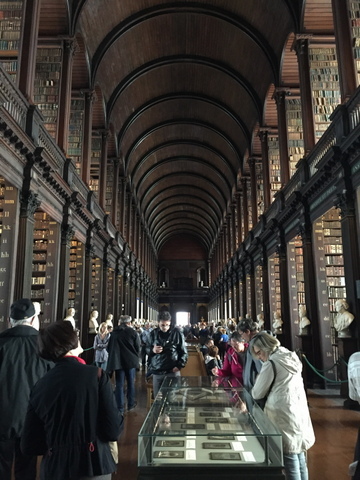 Before this, I saw the Book of Kells at the famous Old Library. 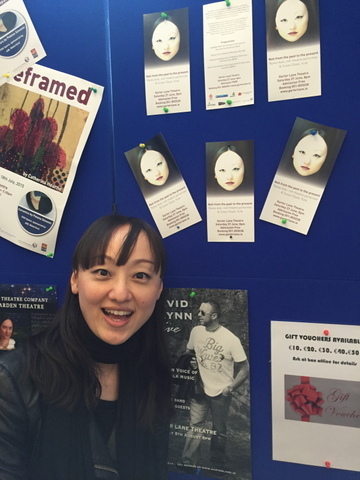 Lecture "Noh from the past to the present - Noh and Contemporary Music -"
The Long Room Hub, Trinity College Dublin, Ireland Full of audiences and full of questions!! I was very glad that people were very interested in it!! 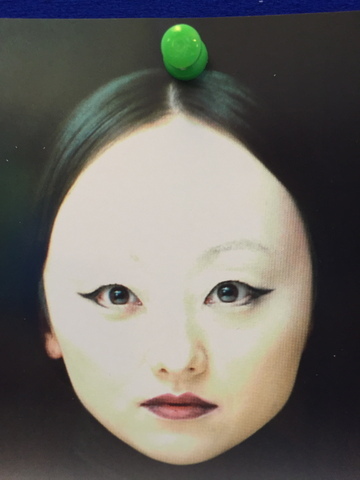 On 25 June, I wen to celebrate Yeats2015 in Sligo because Yeats is known to have been influenced by Noh theatre when he wrote his play "At the Hawk's Well". The theatre was so warm and audiences were also very warm!! After the performance, with Susan Doyle! We performed together the first time, but our combination was really perfect!! Unfortunately I had no time to see the city, but in the night we went to the local pub. By chance we met the audiences who attended the concert, and we had nice chat with Irish whisky! We came here because of celebration the opening of the "Lafcadio Hearn Memorial Gardens" on Lafcadio Hearn's birthday. 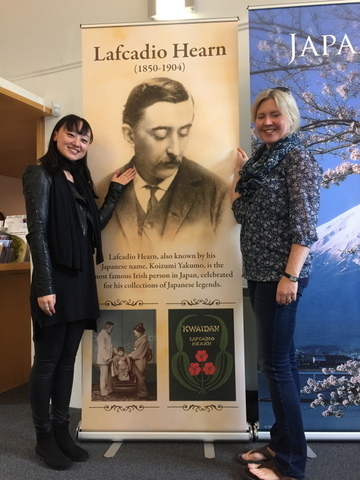 These gardens are expected to enhance Japan-Ireland cultural relations by encouraging Irish people to have a better understanding of Japanese literature and culture through a renewed interest in Lafcadio Hearn (1850-1904). Also known by his Japanese name, Koizumi Yakumo, he is the most famous Irish person in Japan and is celebrated for his collections of Japanese legends. Susan helped me a lot! 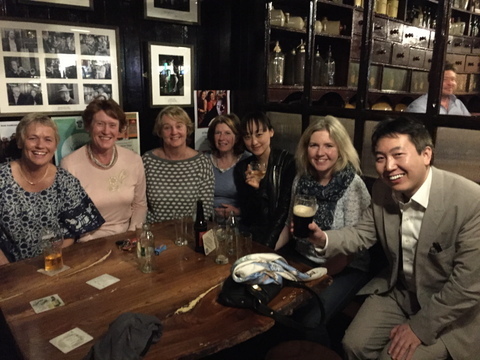 Thank you very much Susan and people from Embassy of Japan in Ireland! !